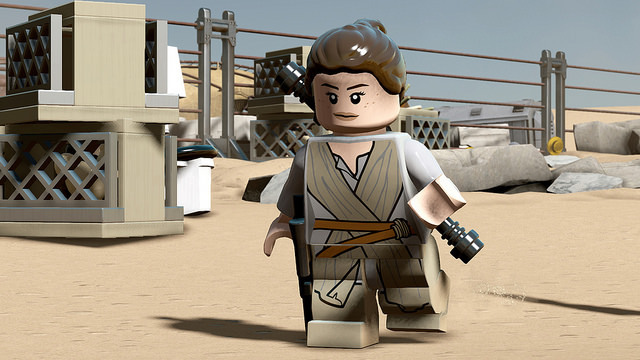 Collecting Asylum: Asylum Reviews: Lego Star Wars - The Force Awakens [Xbox One]. Asylum Reviews: Lego Star Wars - The Force Awakens [Xbox One]. Lego Star Wars: The Force Awakens is the latest game in the Lego line. Released on the 28th June, it's a welcome return to the Star Wars Lego games, with lots of classic characters in addition to the new ensemble cast. Story wise, the game follows the same basic premise as the movie it takes its name from, but with a few missions from the previous movies, as well as some expanded missions (still in the current timeline), too. It also injects some humour into the story, as the Lego games like to do. One such moment that particularly stood out to us was in reference to the moment Kylo Ren has a bit of a meltdown in the movie, smashing things; in the game, we have him storming off to his Darth Vader-overload bedroom, and smashing that up instead (the wee man definitely enjoyed that part!). If you've played a Lego game before, you'll know the basic structure of them. This one is no exception - and that's not a bad thing, by any means! Naturally, the way these games play are unlikely to change drastically, other than some new mechanics, which is what we were treated to here. A new cover system has been introduced, as well as the ability for buildable objects to be built in a number of ways, giving puzzles multiple parts (therefore requiring just a tad more brainpower). Other than that, the game is very much the same as other Lego games, just reskinned to fit the story of The Force Awakens. The games are great as they are, and this is a classic case of "if it ain't broke, don't fix it". The main story can be completed in less than 10 hours, but there are a tonne of things to do after that, giving the game a good amount of replayability. There are loads of unlockable characters, vehicles, and of course there are some things available through the Season Pass, too. So even if you blast through the game, aaand all of the unlockables, there's still more to come via the Season Pass, to get you back into the game at a later date. Plus, at only £7.99 on the Xbox Store (and similarly priced elsewhere), it's the cheapest Season Pass we've bought whilst not on sale! As previously mentioned, the game plays and feels exactly like the previous Lego games, but this is why these games are so popular. They fit that family demographic, of being easy to play (for all ages), whilst telling the story of popular movies, etc. whilst allowing some couch co-op for you and your friends, or family. 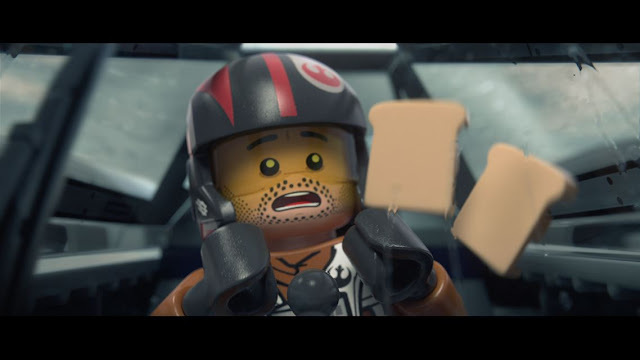 So what were your thoughts on Lego Star Wars: The Force Awakens?